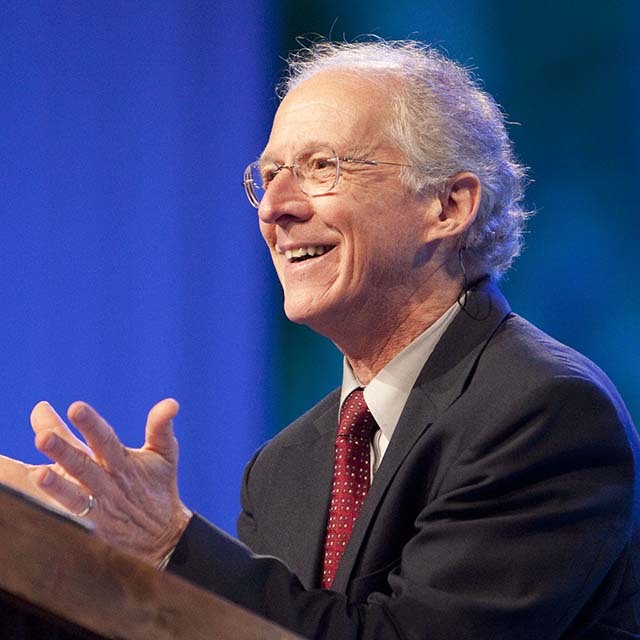 John Piper is the senior pastor of Bethlehem Baptist Church and is dedicated to spreading the life and teachings of Jesus Christ through his sermons, over the radio and on the internet. He is the author of over 50 books and now frequently travels around the world to give seminars on the supremacy of God. Apart from his religious activities, he regularly writes poems to rejoice special family occasions as well as creating story-poems for the Advent churchgoers every year. An ex-student of University of Munich, he completed his doctorate in New Testament Studies and went on to become of one of the most influential and eminent theologians around the world in modern times. Many of his publications including, ‘Pierced by the World’, ‘The Passion of Jesus Christ’, ‘God’s Passion for His Glory’ and ‘Desiring God: Meditations of a Christian Hedonist’ have been the recipients of the ECPA Christian Book Awards and various other honors. During his tenure as a pastor and a fellow ‘Christian Hedonist’, he founded ‘Desiring God Ministries’, which provides all of his sermons and articles collated in the last three decades through annual conferences and more recently, multimedia.